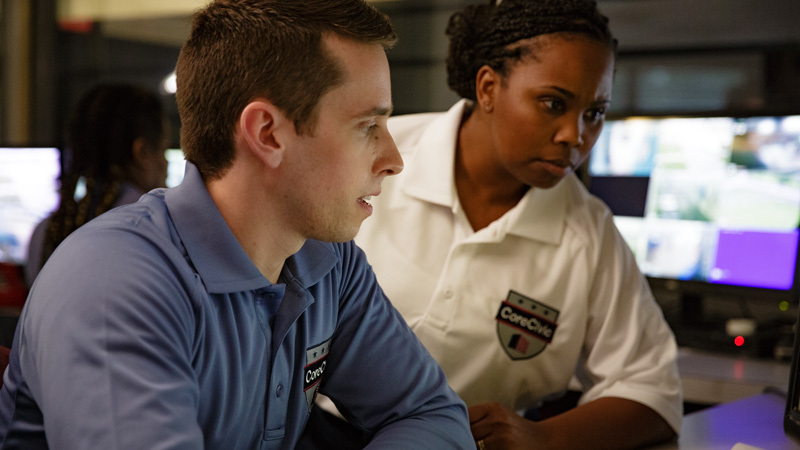 With more than 30 years of experience, CoreCivic is the leading national provider of high-quality corrections and detention management services. We have the scale and experience to solve the touch challenges facing government at all levels, while providing the kind of life-changing reentry programming that is proven to reduce recidivism and enhance public safety. We partner with U.S. Marshalls Service and Immigration and Customs Enforcement to provide safe environments where detainees reside as they go through judicial and diplomatic processes. Detention services often differ from those found at traditional correctional facilities. Many of our detention centers feature on-site legal and diplomatic services and immigration courts, which are operated by the federal judiciary. Some of our detention centers feature residential-style housing, complete with shared living spaces and areas where families can remain connected.